“I am excited to join the Team at Lakeview Health to provide help, hope, and healing to individuals who are suffering from substance abuse disorders,” said Dr. Migliaccio. Lakeview Health, a nationally recognized addiction treatment facility, announced the addition of Gene Migliaccio, Dr.P.H., as Senior Vice President of Government Services effective June 18, 2018. 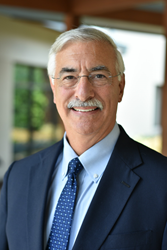 In his new role at Lakeview Health, Dr. Migliaccio, who is board-certified in health care management, will be responsible for a mixture of advocacy, collaboration/partnership, and government business development. He will represent Lakeview Health on government committees and task forces, oversee collaborations with government and non-governmental organizations, and work closely with key leaders and organizations in the addiction treatment industry. This role continues a distinguished career comprised of many positions serving in executive leadership for organizations including Executive Director for Delivery Operations, Veterans Health Administration, U.S. Department of Veterans Affairs; Director of Federal Occupational Health, U.S. Department of Health and Human Services; and Chief of Staff for the U.S. Surgeon General. During his retirement ceremony on June 7, 2018, President Donald Trump’s office presented Dr. Migliaccio with special recognition for serving 35 years in the Federal Government. Dr. Migliaccio holds a Doctorate of Public Health (Dr.P.H.) from Tulane University School of Public Health and Tropical Medicine, a Master of Public Health (M.P.H.) from the University of Hawaii School of Public Health, and a Bachelor of Arts from Marquette University. After earning his doctoral degree, he served in the U.S. Air Force (USAF) Medical Service Corps as a health services administrator until joining the U.S. Public Health Service (PHS) Commissioned Corps. In 2007, he was appointed as a member of the federal government’s Senior Executive Service (SES). He is a highly decorated career officer who has received numerous PHS, military, and private sector awards. Additionally, he received recognition for attaining meritorious national distinction in the field of public health by Delta Omega, the honorary society for graduate studies in public health. Founded in 2001, Lakeview Health serves individuals with addiction and psychiatric disorders. The company takes an integrative health approach that addresses the medical, psychological, physical and spiritual aspects of recovery. Lakeview offers gender-responsive detox and inpatient services at the flagship location in Jacksonville, Florida. In 2018, the company opened a second facility in The Woodlands, Texas offering intensive outpatient treatment and partial hospitalization programs. Their continuum of care at both facilities allows patients to move successfully toward a life in recovery. To learn more, visit https://www.LakeviewHealth.com.